Celebrating the 75th birthday of Academy Award winning Best Actress Julie Christie ( for 1965's Darling). Born April 14, 1940 in British India, Julie Christie's mother was a painter and her father ran a tea plantation. Julie Christie was baptised by the Church of England and studied as a boarder at the Convent of Our Lady school in East Sussex. She had a rebellious side and was even expelled from another convent school for telling a risque joke. Later she studied at the Central School of Speech and Drama. Julie Christie's acting career took off with a 1957 BBC serial called A for Andromeda. She continued to snag roles in popular British films, eventually earning a BAFTA Award nomination for 1963's Billy Liar, opposite Tom Courtenay. That same year, she appeared in the comedy The Fast Lady (1963). 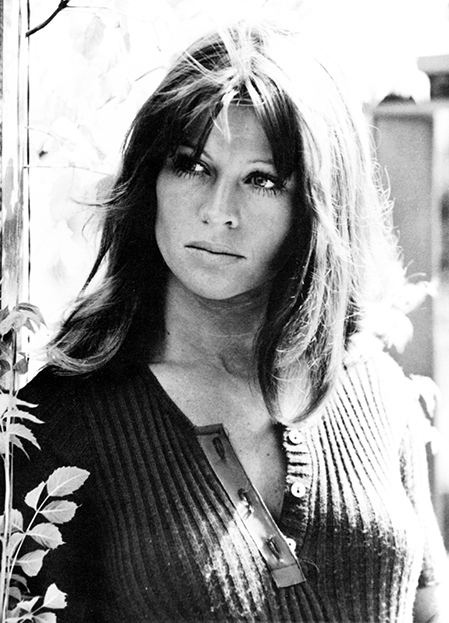 Below, Julie Christie is featured in the movie trailer for The Fast Lady. In 1965, Life magazine hailed the year as "The Year of Julie Christie." She starred in the Academy Award-nominated movies Darling (1965) and Doctor Zhivago (1965). Her co-stars in Darling included Laurence Harvey and Dirk Bogarde. Below, the movie trailer for Doctor Zhivago features Julie Christie, Omar Sharif, Geraldine Chaplin, Tom Courtenay, and Alec Guinness. Julie Christie was nominated for an Academy Award Best Actress for Darling, facing stiff competition from fellow nominees Samantha Eggar (The Collector), Simone Signoret (Ship of Fools), Julie Andrews (The Sound of Music), and Elizabeth Hartman (A Patch of Blue). 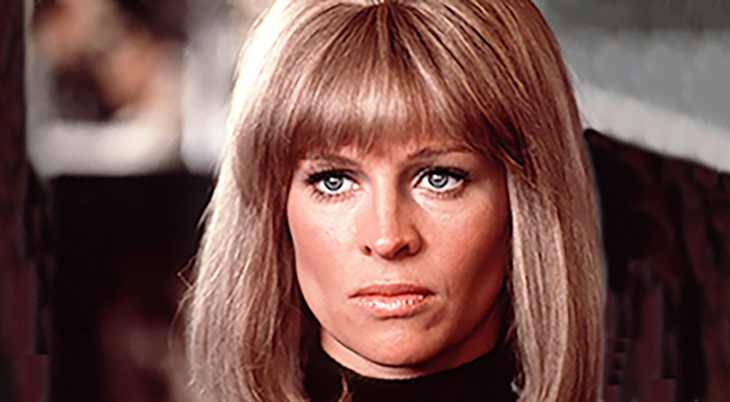 Despite winning the award for Darling, today generations of movie fans more closely associate Julie Christie's name with Doctor Zhivago, a modern film classic. The bulk of her feature film work came in the 60's & 70's, with such movies as Fahrenheit 451 (1966), Petulia (1968), and Don't Look Now (1973) with Donald Sutherland. Below, the Paramount Movies clip for Don't Look Now featuring a scene with Julie Christie & her co-star Donald Sutherland. Julie Christie and on-off-on boyfriend actor Warren Beatty dated from 1967-1974 and made 3 movies together - McCabe & Mrs. Miller (1971), Shampoo (1975), and Heaven Can Wait (1978). The Heaven Can Wait movie trailer below features Warren Beatty, Julie Christie, James Mason, Buck Henry, Jack Warden, Dyan Cannon, and Charles Grodin. By the late 1970's Christie had moved back to the UK and has lived quietly on her Welsh farm since then, emerging only occasionally for roles movies. She has lived with journalist Duncan Campbell since 1979 (they married some years ago but Christie has kept the details private). Looking at her career and photos proves that you can still be successful and beautiful once you cross the 50+ barrier. Julie Christie continues to act and receive critical acclaim for her acting work, with more Oscar nominations for Best Actress in 1997 for Afterglow, and again in 2006, for Away from Her. In Away from Her, Christie plays a long-married Canadian wife and senior who begins to suffer from Alzheimer's Disease and moves into a nursing home, where she falls for another resident while losing virtually all memory of her husband. Below, the movie trailer for Away From Her features Julie Christie, Gordon Pinsent, Wendy Crewson, and Olympia Dukakis. Julie Christie's most recent movie was at age 73 in 2012's The Company You Keep, co-starring then 76-year-old Robert Redford. "Well, they nearly always involve a chap and nature...there is a strong sense of sexuality, always, because that is the life force, the thing that memory retains." Julie Christie has been faced with challenges throughout her career; she suffers from anxiety and a rare form of memory loss called autobiographic amnesia, which sometimes makes it difficult to remember her lines. This hasn't stopped her from leading an amazing life aside from her stellar acting career - she's been active in causes like animal rights, environmental protection, and the antinuclear power movement. Truly a senior and septuagenarian to celebrate! Happy 75th Birthday, Julie Christie.